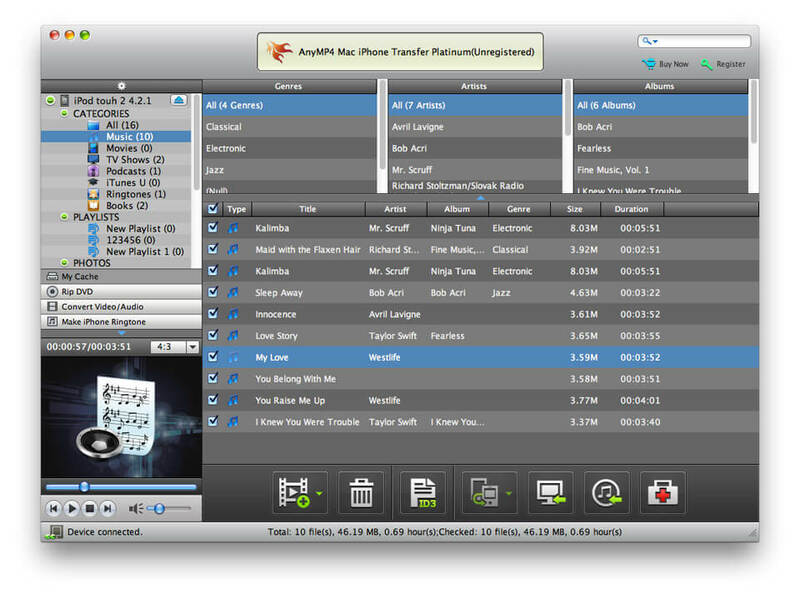 AnyMP4 Mac iPhone Transfer Platinum is a wonderful assistant software. It can not only transfer files between iPhone and Mac, but also backup iPhone SMS and Contacts on Mac and convert both DVD and video to iPhone. customize the output video effect. Moreover, this software supports the latest iOS 5.1. Aiseesoft BD Software Toolkit for Mac is professional in ripping BD on Mac, and converting DVD/video to popular video formats, including HD video formats. Besides, you can use it to play Blu-ray disc on Mac.